You may already have heard of this but oats contain properties that may help soothe itching and reduce inflammation. My Doctor always wants to prescribe me Aveeno for my eczema but this brands is not for me. It is full of ingredients I avoid however it is formulated with colloidal oatmeal (finely ground oats). If you wish to include oats in your beauty routine, I would suggest starting with a bath. This natural remedy may not work for everyone but it is one I have been using for years. 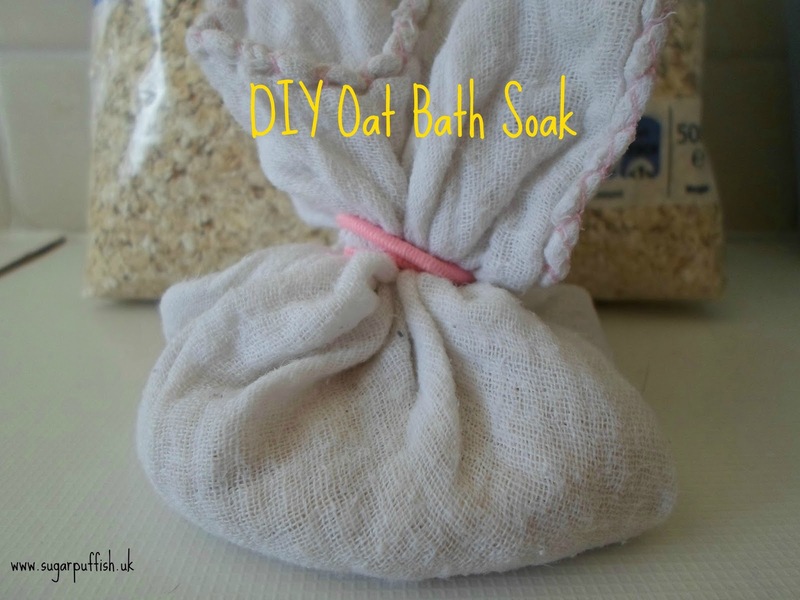 Add the muslin oat bag to a bath, running water over it to help turn the water ‘milky’. On occasions squeeze the muslin bag to release more of the oat ‘milk’. Now enjoy a soak in the bath. You can leave the oat bag in the water and use it to wash your body. When you are finished bathing, discard the oats in your food waste bin and the muslin cloth can be washed and reused.